To send a voice message, start up a chat conversation with a pal then tap on the "audio" icon. Press and hold on the button to start recording. 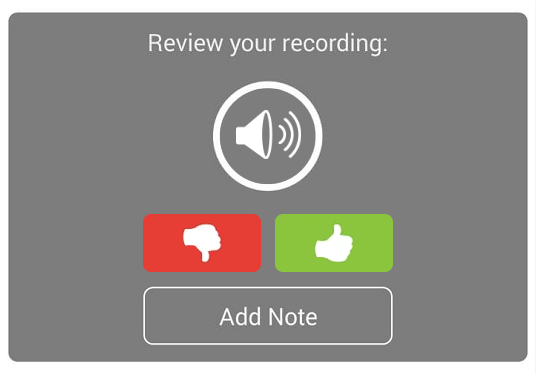 When you’re satisfied with your recording, tap on "thumbs up" to send it to your pal. If you want to record again, tap on "thumbs down" and repeat the process.